Number 1: Bulls Head in Repton, Derbyshire -- Located in a very quaint village on the edge of Derby, the Bulls Head is a popular restaurant for those who live locally. 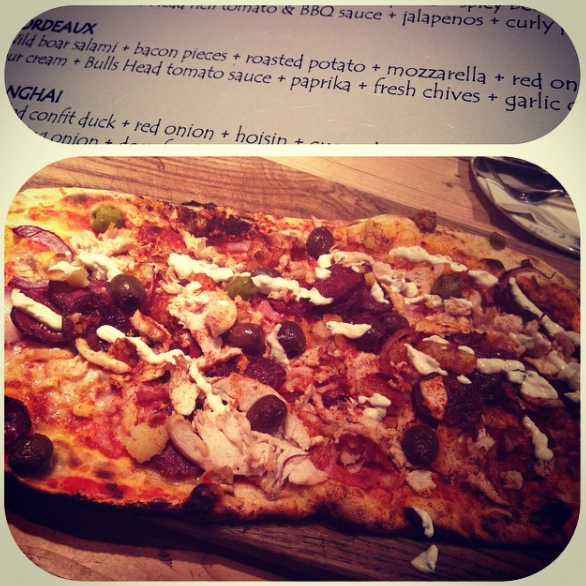 Anyone who has been will have nothing but great things to say about not only their food but their pizza's to be precise! Having an traditional Pizza oven tucked into the corner of the Bar means that the smell of freshly baked pizzas fills the air the whole time you're seated and not only that, rather than using their Business Gas mains that would usually heat the place up, they can rely on the heat coming from the burning Pizza oven at all times of year - even in the additional tepee section of the restaurant! Number 2: Bills Restaurant, Leicester -- Whether it's breakfast, lunch or dinner, Bills Restaurant will have something on the menu for everyone! We have been to a few of their branches including Brighton, Leicester, Liverpool, London and Birmingham and every single one has been brilliant. The eggs benedict is one of the best I've eaten and their Burgers are to die for! If you're in a city and fancy something different, I'd definitely recommend heading to Bills! Number 3: The Tap House, near Ashby de la Zouch -- For a classic Sunday Roast that leaves you full to the brim, we head down to the Tap House near Ashby de la Zouch. The carvery is a semi-self serve where your plate is portioned up for you and you get to choose from 2 meats or a vegetarian option or also a pie or casserole dish along with your potatoes, sides and vegetables. There hasn't been a single time that we've walked/rolled out of here after eating our body weight in food. It really is that good! Number 4: Turpins Bar and Grill, Twycross -- Somewhere which may take a few of your fancies as it's close to the family attraction, Twycross Zoo; Turpins Bar is a gorgeous bar/grill restaurant which serves light lunches or evening meals. 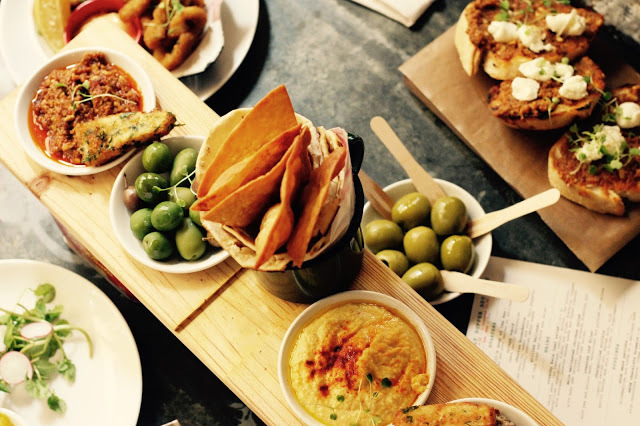 A range of salads, burgers and lots of other yummy mains are available to buy along with a massive selection of Tapas too! I wouldn't recommend going without booking though as I know most Saturday nights are booked up weeks in advance! Number 5: Marco Pierre Whites Steak house and Grill, Nottingham -- Last, but definitely not least is the classiest of the bunch. If you're looking for a location for a special occasion, I'd definitely send you to MPW Steak house in Nottingham. We went a year or so ago for a celebratory meal and it was beautiful. The steak was cooked to perfection, the fish cakes were that big I couldn't finish them and they recommended a wine that complimented our meals perfectly. It's the place to go if you want to spoil yourselves and your taste buds. 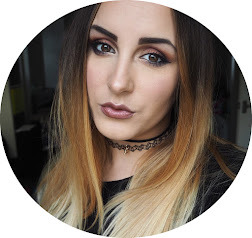 Summer fashion is slowly getting covered up with cardigans and coats, summer sandals are being put away and our toes are being kept warm by tights and boots so what better time to change things up in your Autumn wardrobe and treat yourself to some staple pieces to see you through the colder months. Lyst is an online shopping site which has partnered with some of the world’s biggest designers and stores to bring you everything fashion based but just in one place. Add a little bit of technology to that and you have your very own, personal shopping experience for everyone who uses Lyst. If you're more of a Window Shopper, you can just follow your favourite brands and the people who wear them and just search for the latest looks and items to keep in the loop without spending a penny! This Boohoo Multicolour Liliane Floral Shirt Dress which is perfect to pair with some tights and a lovely pair of tan ankle boots, just like these Aéropostale Diva Lounge Mojave Buckled Boots. You could also wear it as a transitional piece from Spring to Summer too minus the boots and tights! Another great floral piece, perfect to wear with or without tights in the colder months, is this River Island Black Floral print off the Shoulder dress. It's mid-length so can be worn with boots or shoes and can also be dressed up or down! Wear it with a leather jacket for a rock-chic look or a fur coat to make it extra cosy! If you're looking for a glam pair of winter boots but don't want to go with Uggs or Shoe-boots, why not try these Public Desire Square Ankle Boots?! In a gorgeous cream, patent finish you wont have to worry about getting them muddy or wet and they'll suit any outfit, day or night for whatever your plans are this autumn! If you like the look of being able to shop all your favourite stores in one place, or even create the perfect wish list for your new Autumn wardrobe, head over to Lyst and sign up for your very own account and watch those personalised clothing picks tally up and lets see what bargains you can find! If you follow me on social media, you will have seen that I have developed and created my very own Jewellery brand ‘Pixel Stones’. 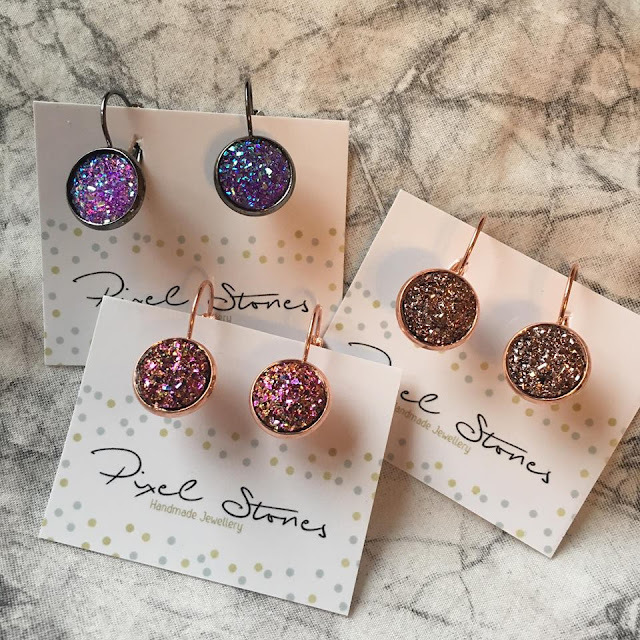 Essentially, Pixel Stones is a handmade jewellery business that focuses on Earrings and Rings using beautiful Faux Druzy studs set in a variety of earring backs including Rose Gold (plated), Silver (plated) and Gunmetal. The earrings are put together, packaged and shipped all by myself and they are all made to order so I hold no items ready made. 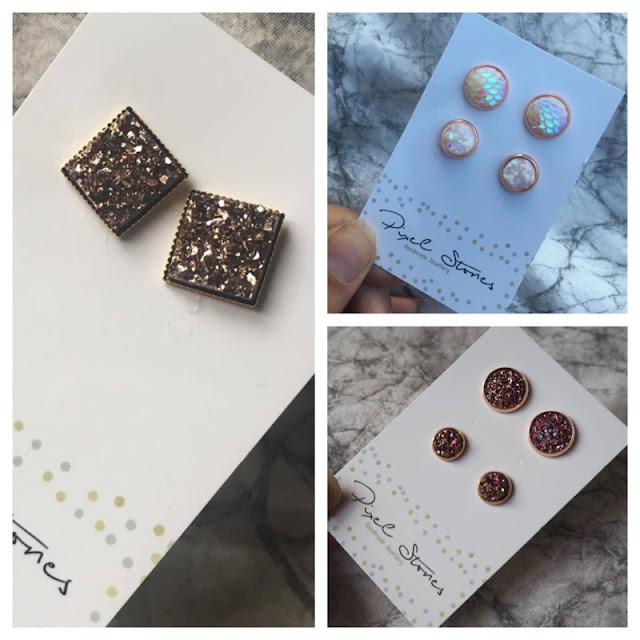 I decided to start this little business after my own love of earrings and costume jewellery grew. I’m a sucker for things that are glittery and stand out from everything else and I just wanted to make something that I hadn’t really seen before. All of the earrings are aimed to be used as custom pieces of costume jewellery as they are plated, apart from the Stainless Steel settings that are available with some of the styles. 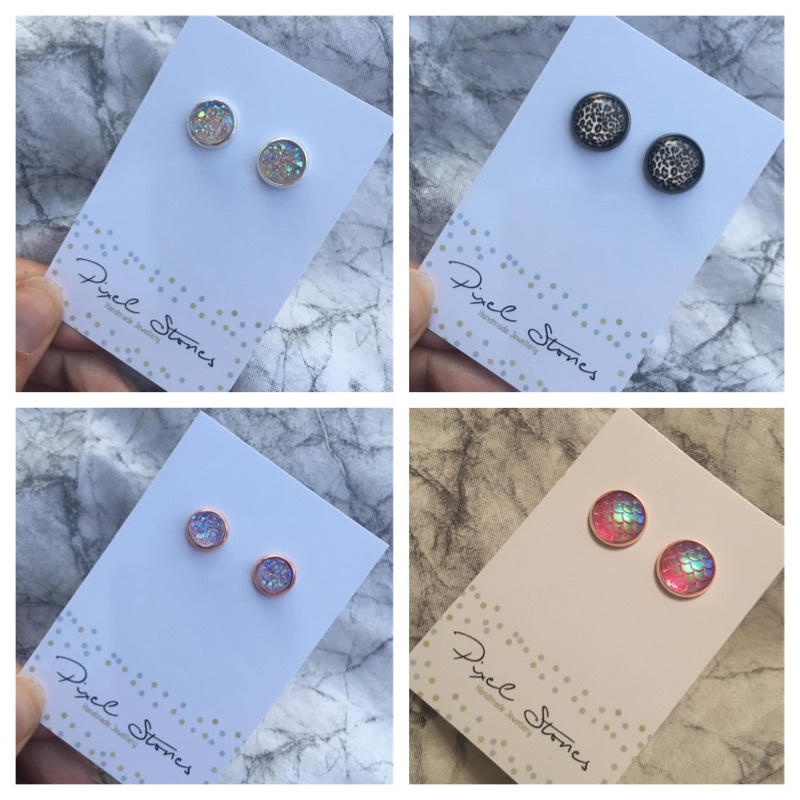 There are so many different colours, shapes and sizes and even now, I have done some Disney inspired earrings and also Mermaid style and Leopard print ones too! You can browse the Pixel Stones website here and take a look at all of the styles and rings but if you want something custom made (choose the setting and the stud) please get in touch as I also do bespoke pieces too! 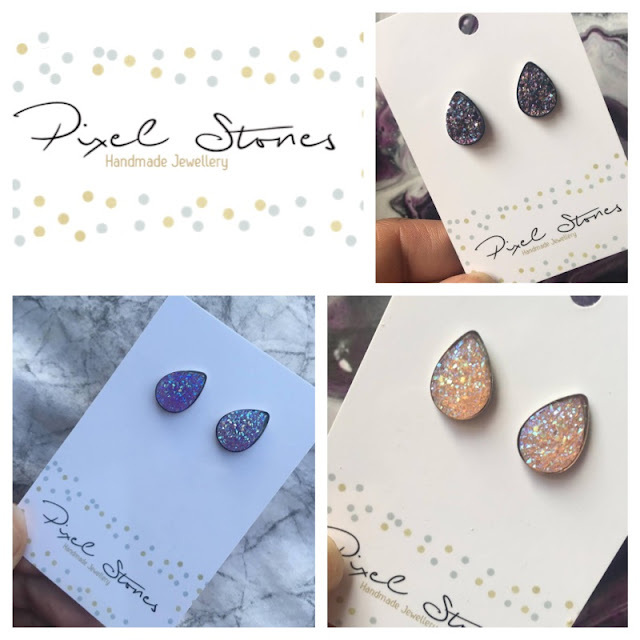 Along with bespoke pieces, I offer Wholesale discounts for those who have salons or boutiques and want to stock Pixel Stones in those or if you are getting married (or a bridesmaid) I can colour match earrings to the colour scheme of the wedding! 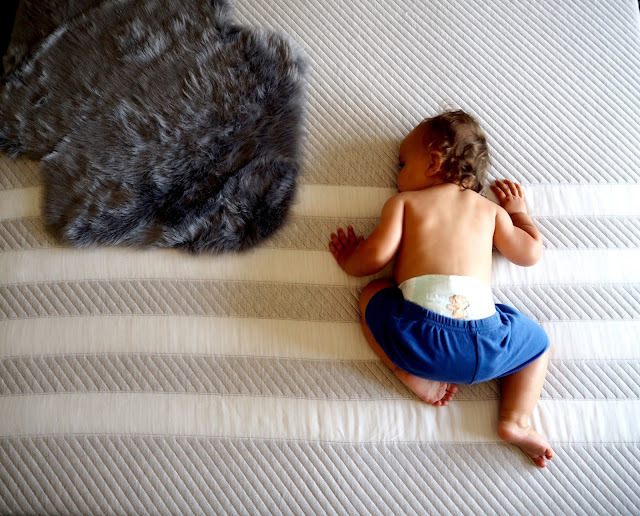 How perfect!? 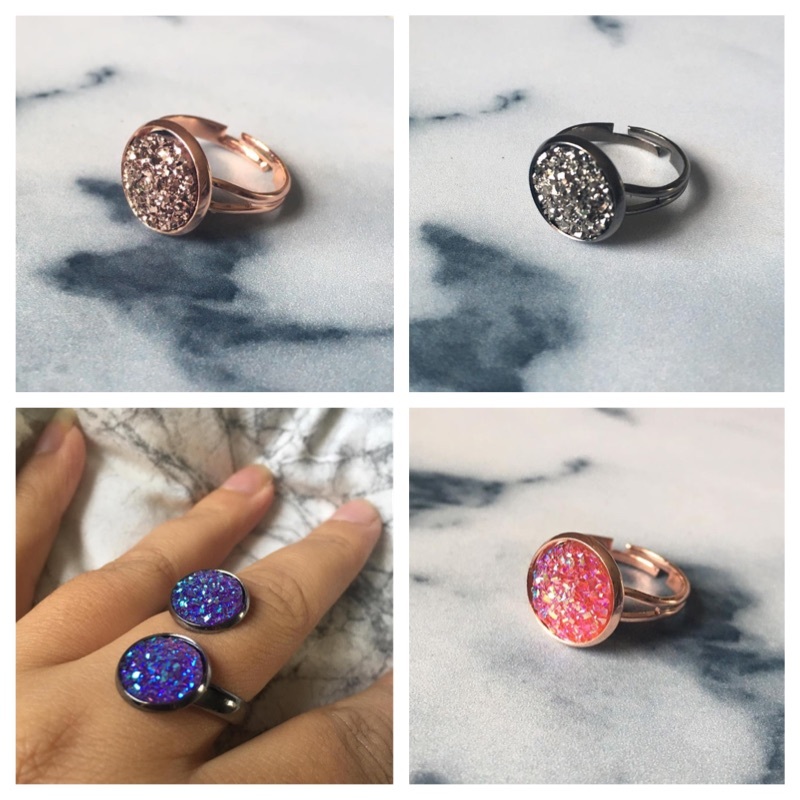 If you like the look of something you’ve seen, don’t hesitate to get in touch over on my Pixel Stone’s Facebook page and if there’s something you’d like but can’t see, just ask and I’ll try my best to help! I’ve sold out of a few silver setting earrings at the moment but everything else is available as it states on the website.